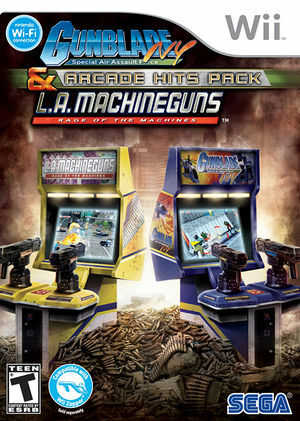 In Gunblade NY & LA Machineguns: Arcade Hits Pack two fast-paced and beloved arcade shooter games take you to the skies above some of America’s most well-known locales. Up to two players control machineguns on two flying battle vehicles to destroy an android terrorist invasion. First, combat android invaders in New York City with your Gunblade helicopter gunship. Then, climb aboard a futuristic hovering gunship to battle a new force of android enemies in Los Angeles and West Coast locales such as Alcatraz, Yosemite and Las Vegas. The graph below charts the compatibility with Gunblade NY & LA Machineguns: Arcade Hits Pack since Dolphin's 2.0 release, listing revisions only where a compatibility change occurred.